Electric Gardens is proud to continue our association with Centennial Park, the “People’s Park” – arguably the greatest inner-city festival site in Australia – in the heart of Sydney. Centennial Park has a distinctive and special place in Australian history and culture. It was once a huge catchment of creeks, swamps, springs, sand dunes and ponds fed by ground water, and was traditionally home to the Gadigal people – the traditional custodians of the land. Officially opened on Australia Day, in 26 January 1888, Centennial Park is now home to to an abundance of plants, water birds and aquatic wildlife, 15,000 trees and nearly , with close to 26 hectares of ornamental ponds providing their habitat providing a haven for all that seeks its refuge..
Today more than 20 million people visits Centennial Parkare made to the Park annually to enjoy its open green spaces, formal gardens, cafes and natural surrounds for a picnic, walk, run cycle, horse riding and more only moments from the city. With cafes, beautiful flower gardens and wide open spaces of pristine grass, the park is a meeting place for many Sydney residents today, to enjoy the wide open spaces and natural surrounds, for running, walking, horse riding, barbecues, picnics and music, and only minutes from the city. Located in the “district of Gadi”, Centennial Park was a spiritual meeting place for the Gadigal people, the traditional custodians of the land, whose harmony with, and respect for, their environment we celebrate and honour, and today make use of this beautiful land in that same spirit. Centennial Park has always been a place of coming together. In On 1 January 1901, on January 1, a quarter of a millionover 2560,000 people came to the Park to witness together to celebrate the our nation’s Federation of the nation, where all six colonies united to form the Commonwealth of Australia. Today, more than six million visits are made to Centennial Park every year, continuing this tradition of gathering that began thousands of years ago with the Gadigal people. As a part of this ongoing history, we ask that everyone respects and honours the heritage of this unique and special place as we come together as one for a day of music, fun and celebration at the Electric Gardens. 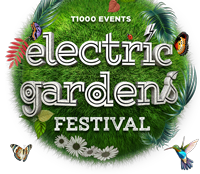 © 2018 T1000 Events presents Electric Gardens Festival. | Login | Website by Boxfish.